Put your best foot forward for your loved one. Nothing beats a warm fire and a warm body next to you on a breezy night. There is nothing more romantic than cuddling up with a loved one by an elegant, full-bodied fire, staring into each other’s eyes or into the flames or up at the stars, and keeping warm with closeness and warmth of the fire. 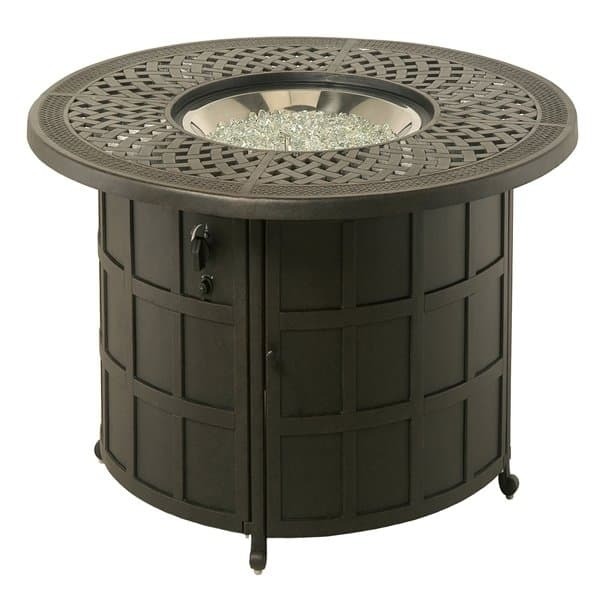 Create a reason for those experiences with this outdoor gas fire pit made by Hanamint. This enclosed fireplace runs on gasoline, propane or natural gas, whichever you prefer, so you won’t be spending your quality time chopping wood, building the fire or putting it out when you’re ready to go inside with your beloved. The burning Diamond Glass Fire Gems create clean, exciting elegance that wood and charcoal fires don’t give. The presence of a uniquely burning outdoor fire pit boosts the aesthetics of your outdoor space, making it a more appealing place to spend time for you and your lover. There’s nothing like the heat of a fire and the heat of another body set against the cool air of an autumn night.